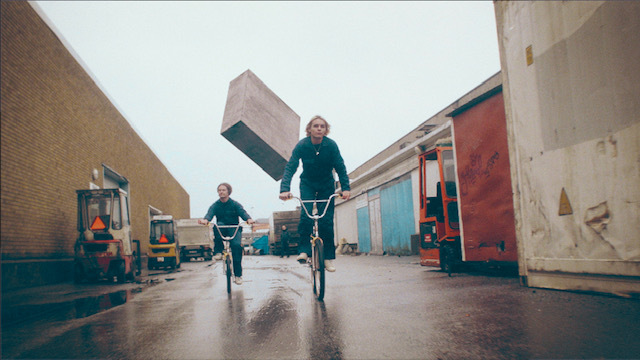 Returning with their second single, Floating, last week, Swedish-based outfit Slide are already showing real promise in what lays ahead on their debut EP, due out later this year. Generating all kinds of nostalgia in their star-spangled sound, the duo's latest effort is a well rounded pop-perfected jam that's filled with contagious hooks and catching melodies. Speaking about the new single Albin explains, We aren't entirely sure what the song is about to be honest. Its a dreamy one, but its supposed to be, you know? We liked the idea of this hallucinatory element of some of the instrumental being present in the lyrics as well. I think its about losing yourself in thought, and maybe losing yourself in love too. Ultimately anything can become a ghost and whether its just in your head or not doesn't really matter. Either way you end up spending a whole lot of time in there...behind the eyes that is. Take a listen for yourselves below.